The first seven seasons of “Game of Thrones” introduced countless subplots and characters, many of whom go by several different names and all of whom seem to rock a beard. The citizens of the Seven Kingdoms drop like flies and sometimes shockingly come back to life seasons later. Even if you’ve been diligently watching since Day 1, it’s a lot to keep track of. Ahead of the eighth and final season, test your knowledge of the world of Westeros — and pick up some trivia for your “Game of Thrones” watch party. 1. What’s the name of Arya Stark’s sword? 2. What does the word Khaleesi refer to? 3. What’s the location where most scenes in the North below The Wall are filmed? 4. Which character besides Jon Snow has also died and been resurrected by a Red Priest? 5. What’s the official name for the naked walk Cersei did in the Season 5 finale? 7. Which of the following characters has not been played by multiple actors? 9. Aside from his twin, Cersei, Jaime Lannister has slept with how many women? 11. Aside from Valyrian Steel, what else can kill White Walkers? 12. Which character is the Three-Eyed Raven? 16. What number Lord Commander of the Night’s Watch was Jon Snow? 17. How did Khal Drogo kill Daenerys’ brother Viserys? 18. Which king did Jamie Lannister slay to earn his “Kingslayer” nickname? 19. 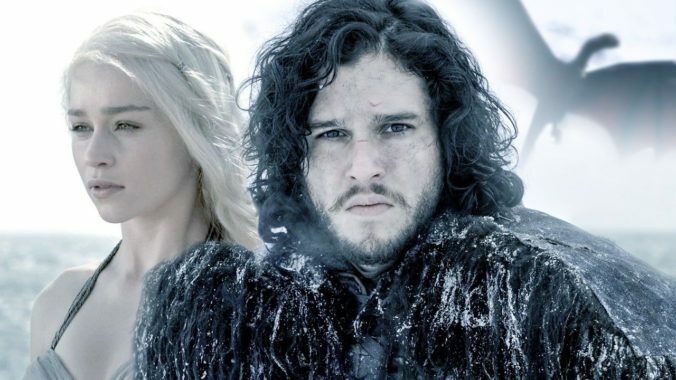 Now that Season 7 revealed Jon Snow’s true parents, how are Daenerys and Jon related? 20. What’s the name of the song associated with House Lannister that played at the Red Wedding? 21. Who actually poisoned Joffrey? 22. What’s The Hound’s real name?